Arts Alive Festival Happening Labor Day Weekend at the Art Center of Corpus Christi! See Art, Make Art, Learn Art, Buy Art, Talk Art! There will be food trucks, live music, unique art demonstrations, community art project, kids activities and much more. Make sure to follow the Facebook event for updates. 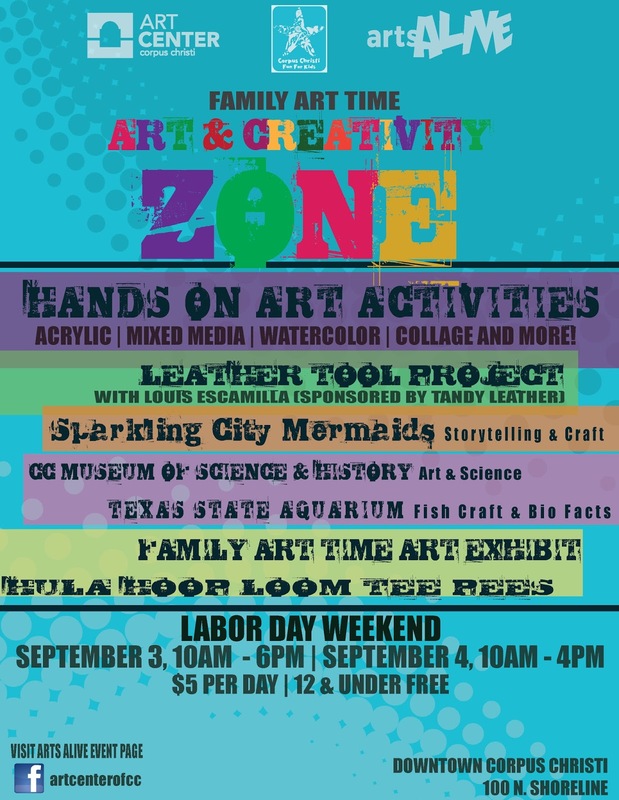 Corpus Christi Fun for Kids is working with the Art Center to bring you the Art and Creativity Zone! This event is going to be a ton of fun so make make sure to save the date!